Even if you don't like their cars, you have to give AMC credit for having been innovative. Compared to the "Big 3", they were tiny and had little development money. They couldn't compete on a technology level, so they went for style and character. It didn't always work - think Pacer - but you have to give them credit for trying. The Gremlin itself was one of those "innovative" cars. AMC needed a "small" car. There was no money to create one from scratch, they created one on a shortened Hornet chassis. Few people would have said this out loud back in the day, but the Gremlin really was a cool looking car. 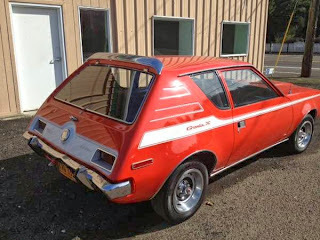 The Gremlin was introduced April 1, 1970, beating GM's Chevrolet Vega and Ford' Pinto to the marketplace by a few months. In 1971, AMC introduced the "X Package". This was strictly an appearance package. With the "X Package" you got sport wheels, bucket seats (but no floor mounted shifter), stripes, a blacked out grille and a few other "sporty" features. 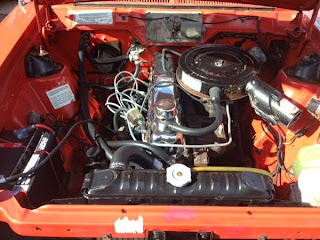 The X came with AMC's tried and true 258ci inline 6, but it could be ordered with the 304ci V8. 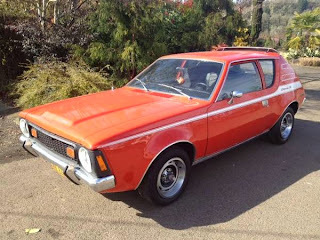 With the V8 the Gremlin was scary fast, but with the 6 it was somewhat tame, with 60 MPH coming in 12 seconds. There is not a lot of information given about this car. It has the 6 in it and looks to be in overall nice condition. It has 145,000 miles on it. 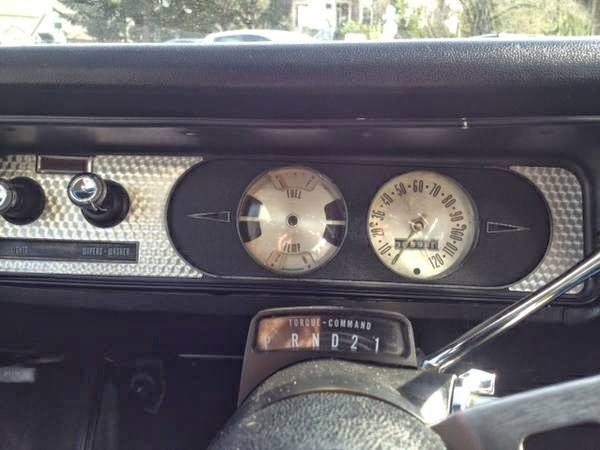 The seller (a dealer) writes "original red paint and decals" and "original black interior." He doesn't say if it's the paint and interior that came with the car, or if it's been repainted / restored to it's original colors. The rear bumper is dented, so I would guess that it's either original or an older restoration. Cars from AMC rusted with the best of them, so looking for rust / poor rust repair is a must. The asking price is $5900.00, which is on the high side. However, it looks great in red, and if it's all original, it's a rare car. If you're an AMC fan, or looking for a unique American car to take to shows, this car might be worth the price. 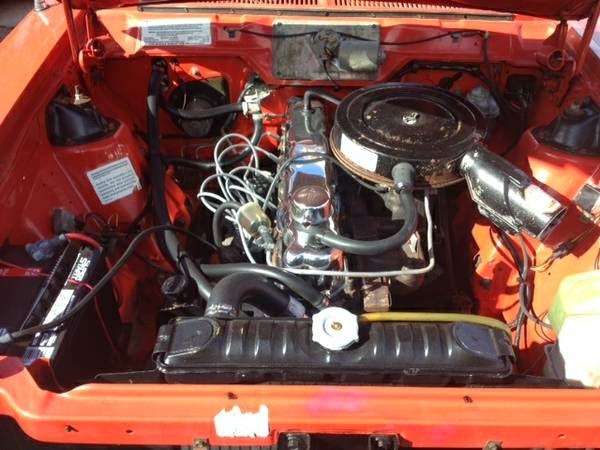 Located in Clackamas County, OR, click here to see the Craigslist ad. 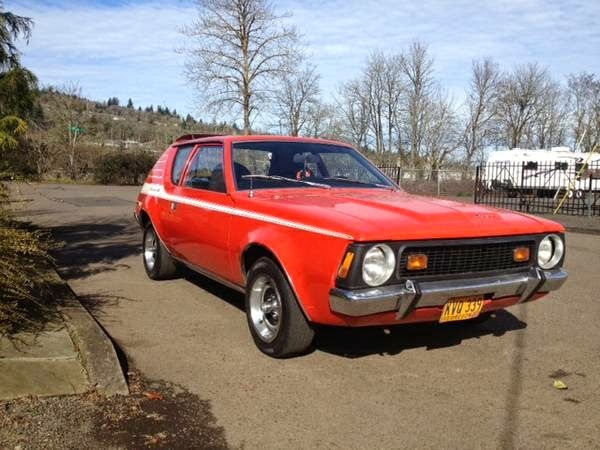 They must have found an AMC two-fer to flip - they've also got a Pacer on their lot, for $1850 if the Gremlin is too rich for your blood. Just search for Leadfoot on CL.